Megalodon Fassbender and Idris Elba 'Make One HOT Dublin Duo' - Oh No They Didn't! OP'S NOTE: Idris Elba may be five years older but he's looking a decade better -- don't drink heavily and smoke, kids! Michael Fassbender and Idris Elba are two of our hottest stars of 2012 after starring in Prometheus together, so we were excited to see these pics of them hanging out in Dublin together this weekend! 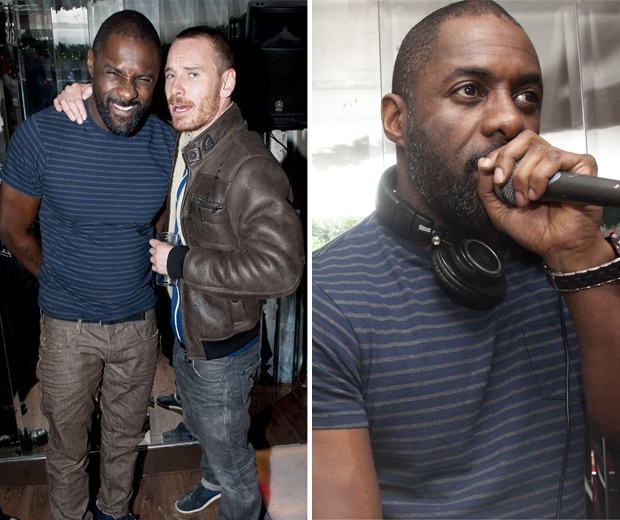 Michael was there to support Idris as he DJ'd and rapped at Bucks Townhouse, and enjoyed a night off! Shortly he'll be playing Magneto again in the new X-Men movie, alongside his older counterpart, Sir Ian McKellen. Not only was he supporting Idris this weekend, he was spotted giving Ryan Gosling a shoulder massage not so long ago. Eh. If you're bored on a Saturday afternoon, you should download it. But it's not worth paying for.